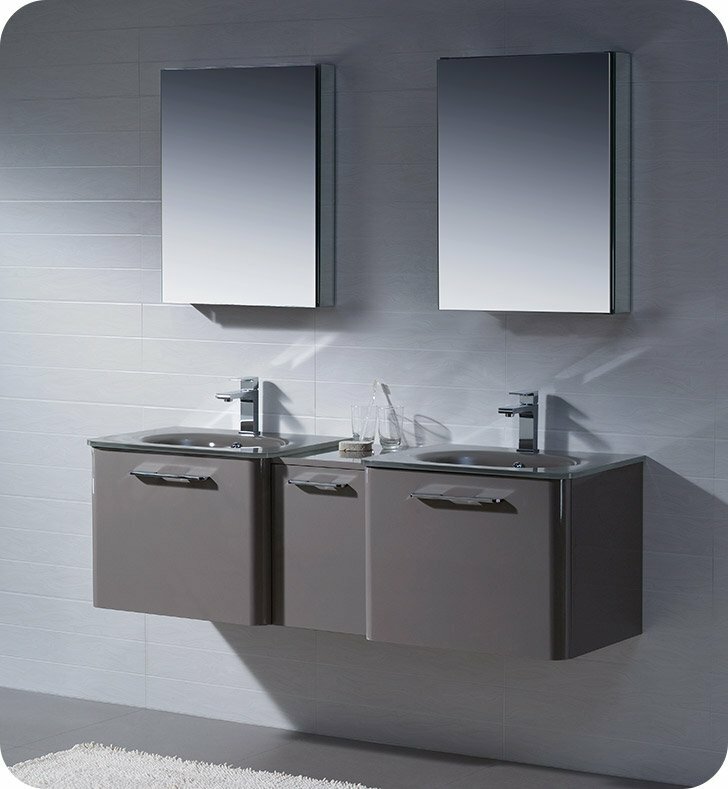 Please select a mirror or medicine cabinet to go with your purchase. 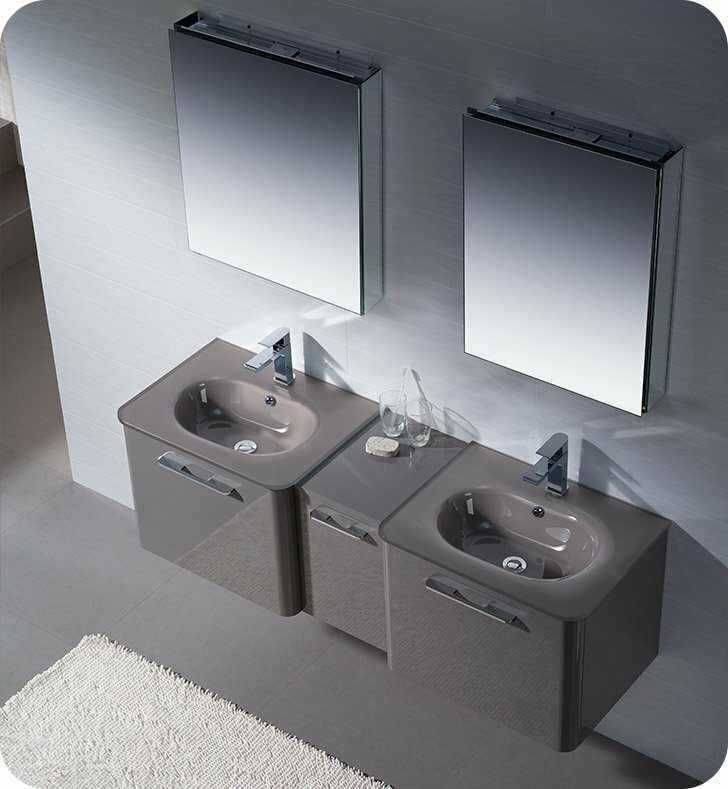 Experience the luxury of extra space with the Fresca Brillante Decor Planet Exclusive Double Sink Modern Bathroom Vanity. 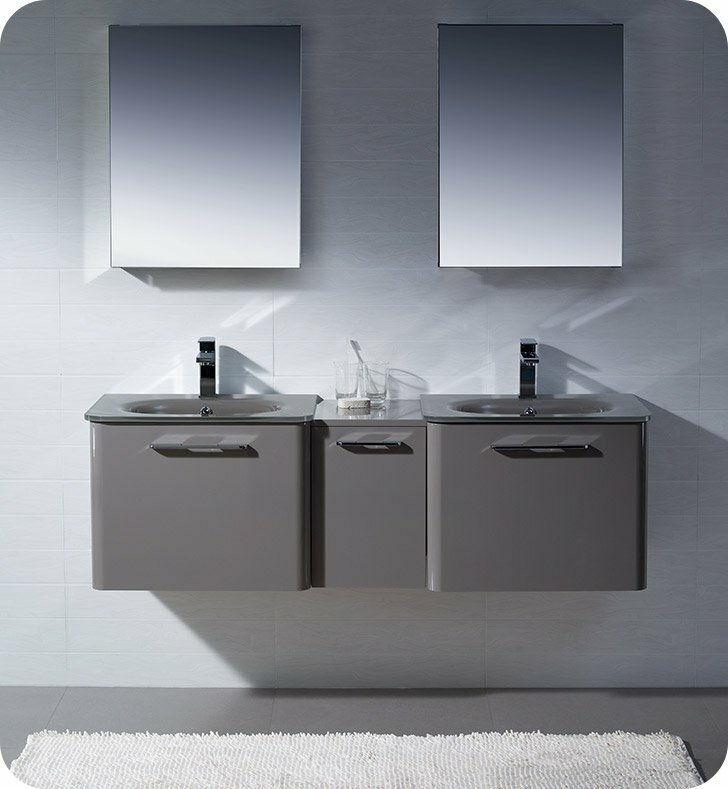 This, beautifully finished in high gloss stone grey, bathroom vanity features floating wall-mounted design, which saves valuable floor space. 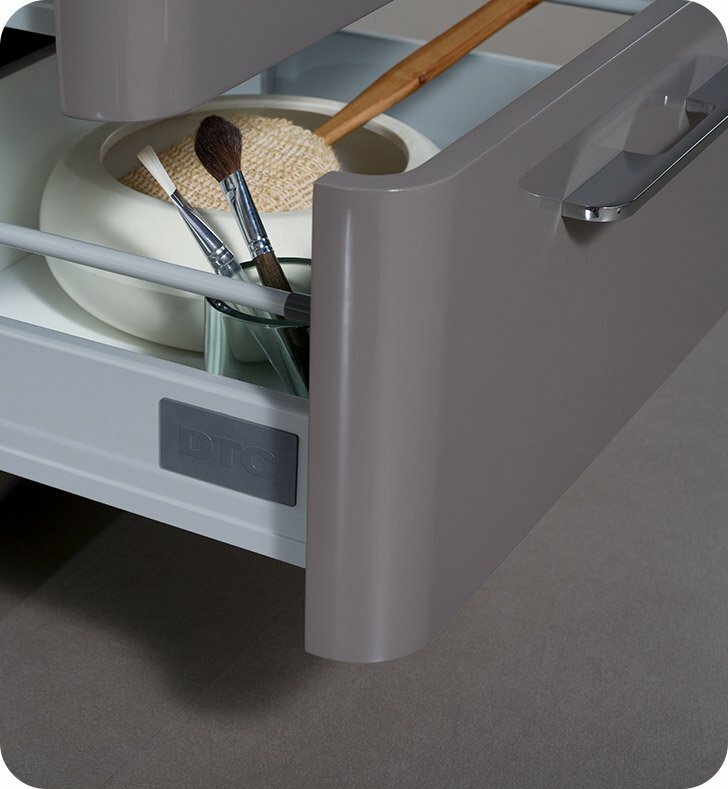 It also features six cleverly designed drawers with a soft-closing mechanism to provide plenty of room for your bathroom essentials. 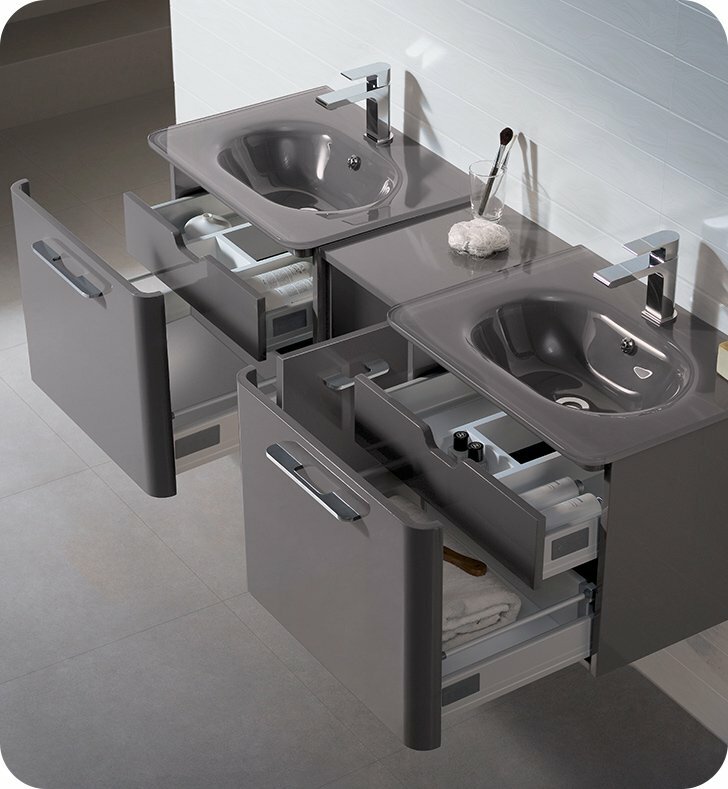 The sleek, contemporary styling is enhanced by an optical glass countertop and two integrated glass sinks. 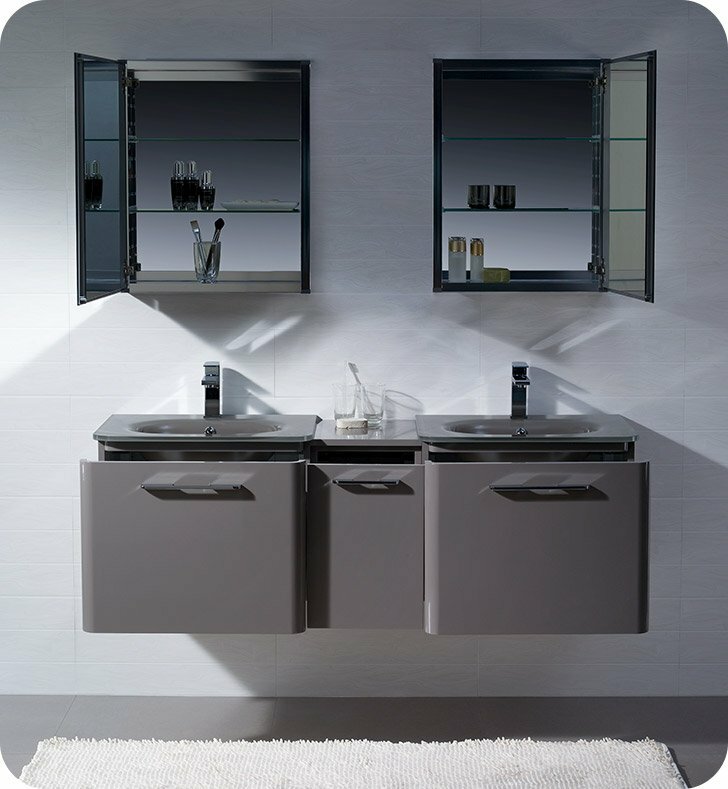 This modern bathroom vanity can be completed by the matching twin mirrors with LED lighting to help you primp every morning. 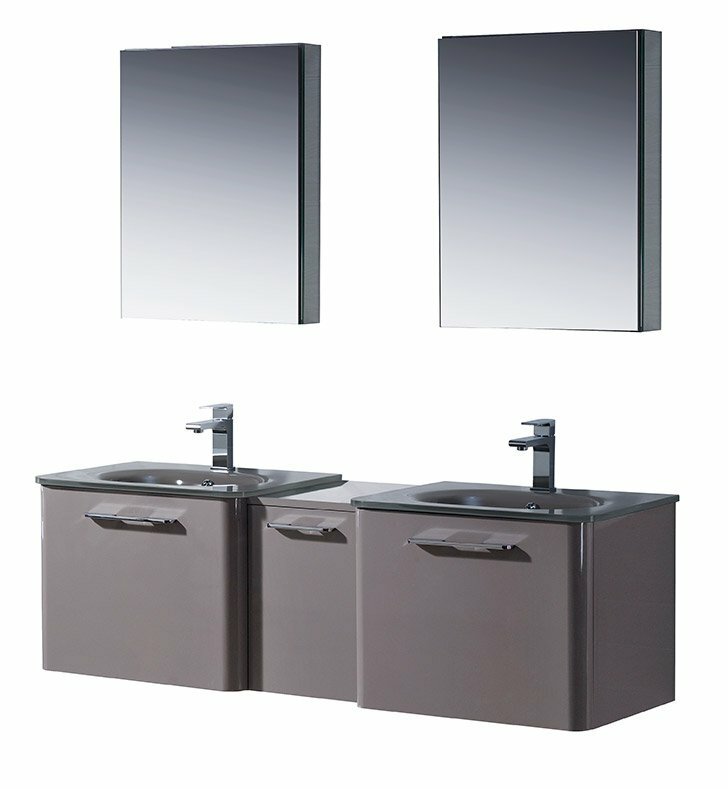 Dimensions: W 60" x D 18 1/4" x H 18 3/8"